WCRHL Final Regular Season Event - 2 Divisions go down to the wire! CSU Fullerton and Saddleback battle late in the game. 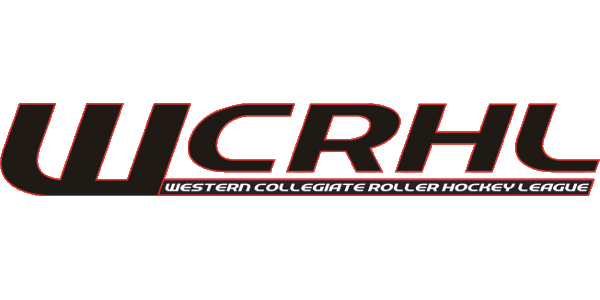 The Feb. 17-18, 2018 WCRHL event at Huntington Beach Inline only had some teams with their playoff berth determined, but none had their final playoff seeding locked up (no #1 seeds determined coming into the event). In Saturday games, Division 1 became locked up, with Arizona State in 1st, UCSB in 2nd, Cal Poly SLO in 3rd and CSU Fullerton in 4th. Heading into Sunday morning, Chico State and CSU Fullerton were both within 2 points of each other, however even with Chico State win to tie in points, CSU Fullerton had the head-to-head tie breaker. The tie breaker was not needed in the end, as CSU Fullerton went on to defeat UC Santa Barbara by a score of 8-5 in their final game of the season. The top 4 Division 1 teams will play at Regionals, in a 4-team round robin, with all teams advancing to the semifinals Sunday morning. In Division 2, San Jose State and Arizona came in as the top 2 teams, and did finish that way. NAU and Cal Poly Pomona getting the 3 and 4 spots, and then Long Beach and Cal (UC Berkeley) seedings depended on the game between these 2 teams on Sunday morning. The winner would get the 5 seed and see the 2 and 3 seed in round robin at Regionals, while the loser would get the 6 seed and see the 1 and 4 seed in round robin at Regionals. Long Beach State came out strong, defeating Cal by a score of 12-0 to grab that 5 seed. In Division 3, the top 5 seeds were determined fairly early, although CSU Fullerton and Arizona finished just 3-4 points ahead of the number 6 seed. The battle for the number 6 seed went all the way to the end, with the winner of the UCSB and Cal Poly Pomona game getting in to Regionals, and the loser being out. It looked like an easy win for UCSB, as they got up 4-0, and had that lead midway in the 3rd period. However, 3 goals by Cal Poly Pomona in a 3:18 span brought the score within 1. UCSB was able to hold on for the 4-3 win, and the playoff berth. West Valley College (JC Division) was not in attendance, but the bids to Nationals for Saddleback and West Valley are determined by the head-to-head record between the 2 teams. Saddleback was 2-0 against West Valley, so they will receive the 1st bid to Nationals in the JC Division, but we are likely to see both teams get bids. 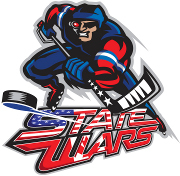 Click here for the WCRHL Regional Championship Tournament schedule!